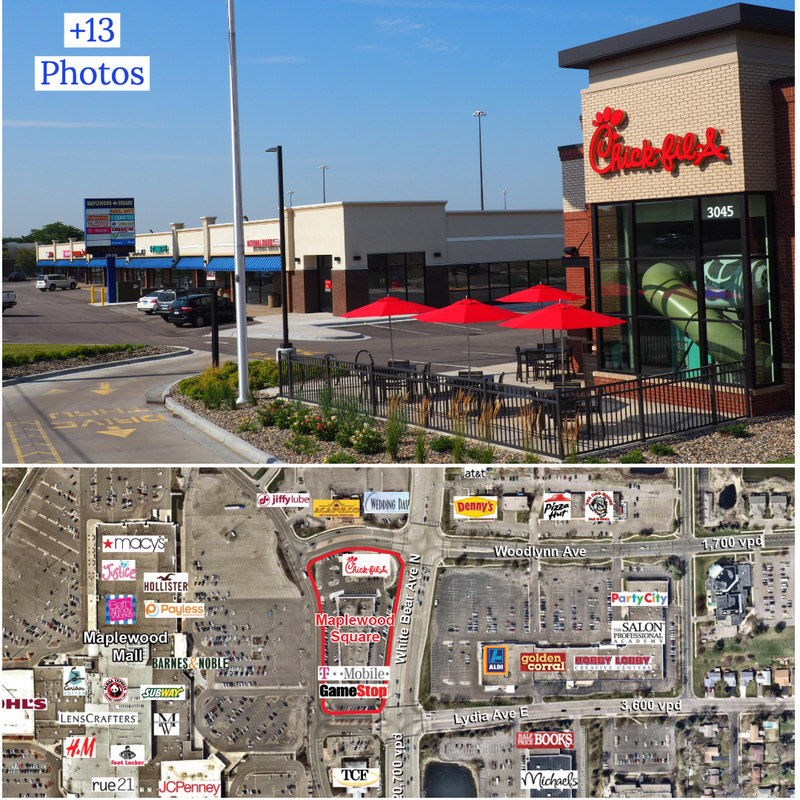 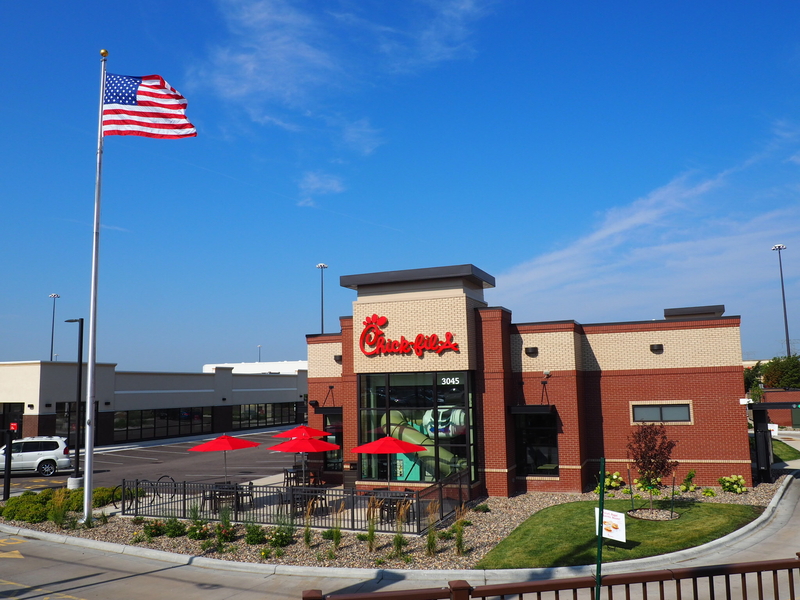 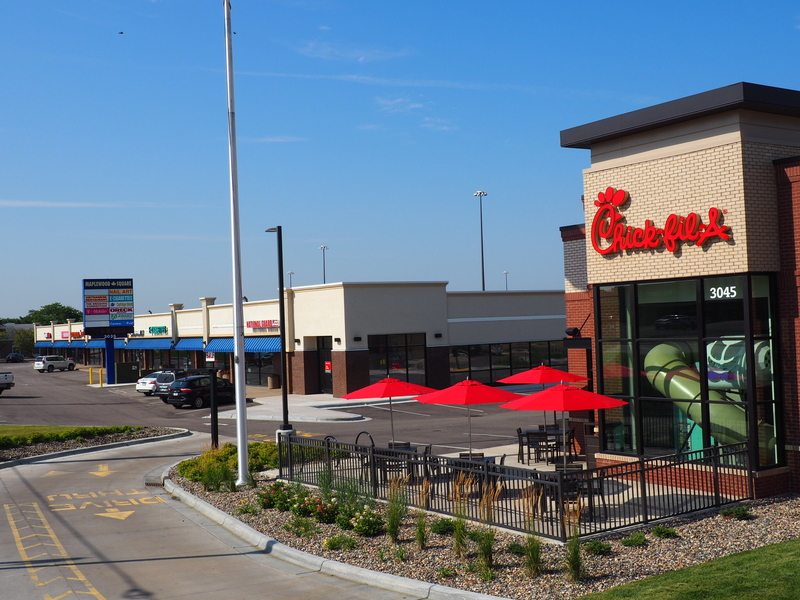 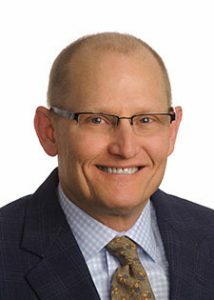 The Maplewood Square Shopping Center is a 31,000 square foot building, plus a freestanding Chic-Fil-A, with suites that range from 709-2,070 square feet. 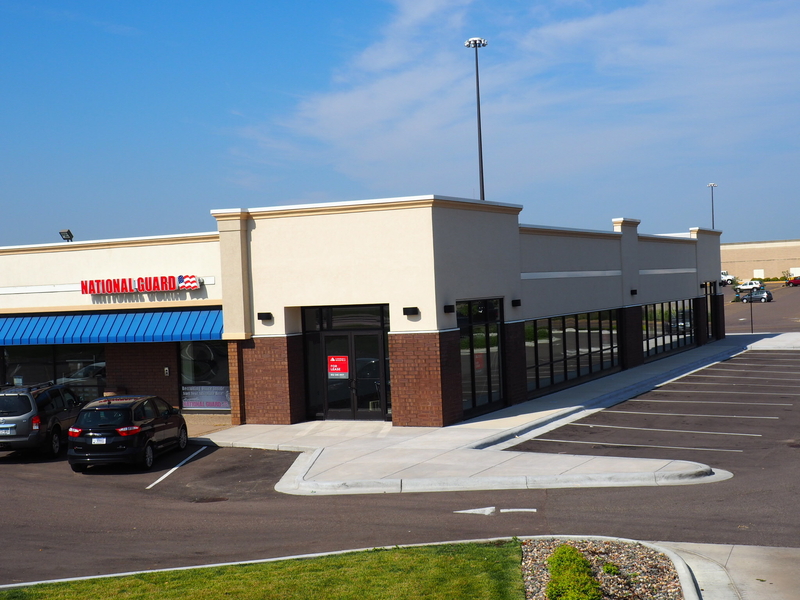 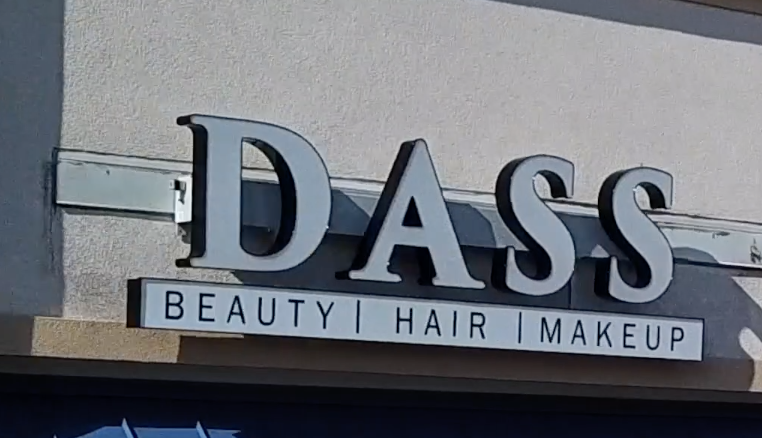 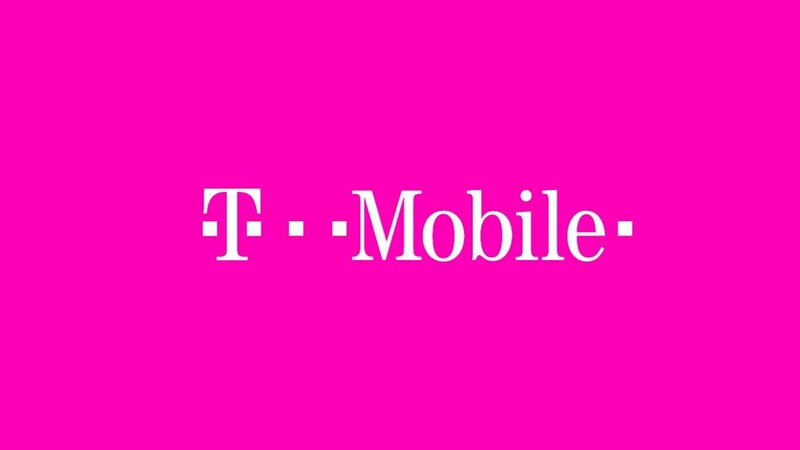 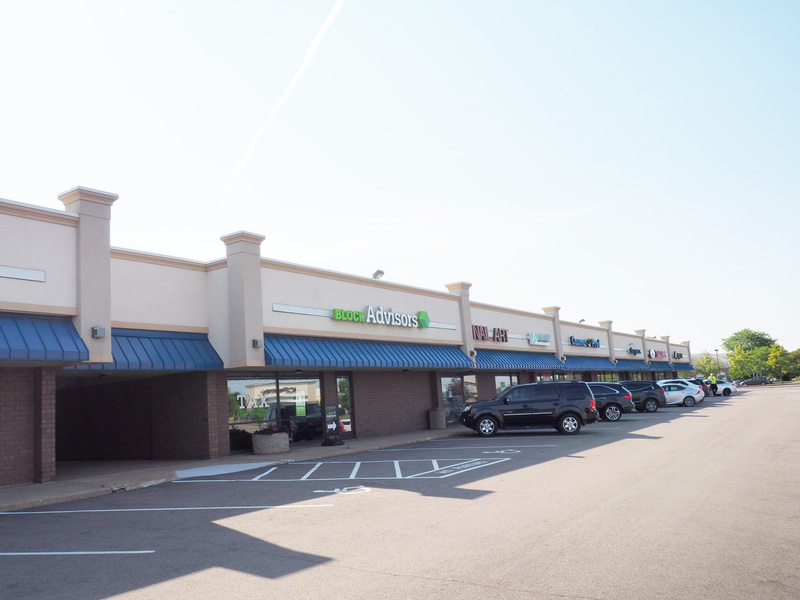 It has a great variety of tenants which includes T-Mobile, H&R Block, Chic-Fil-A, Cosmo Prof and GameStop! 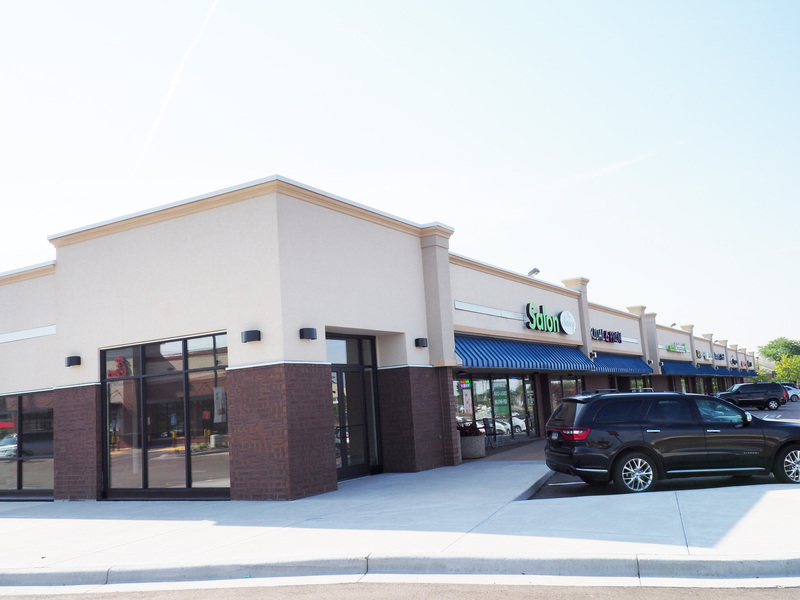 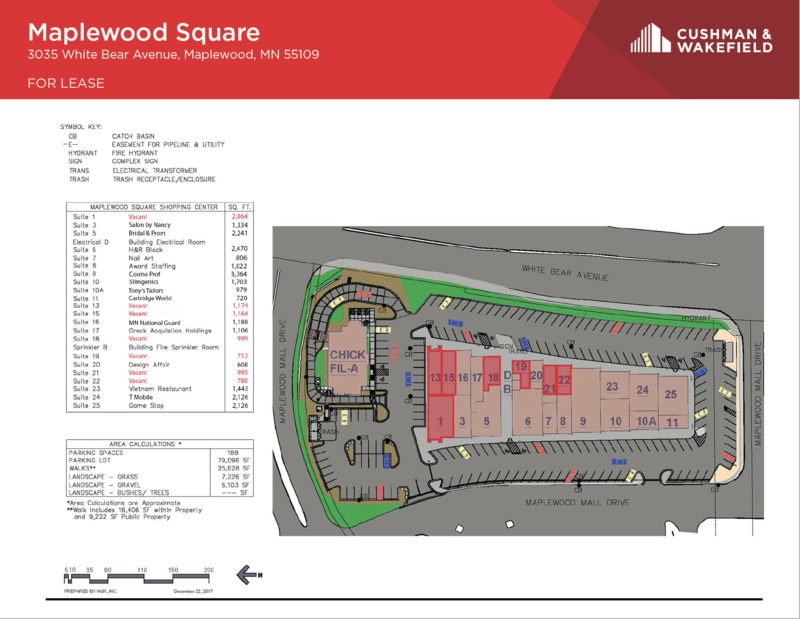 The Maplewood Square Shopping Center is located in front of the popular Regional Maplewood Mall off White Bear Avenue North. 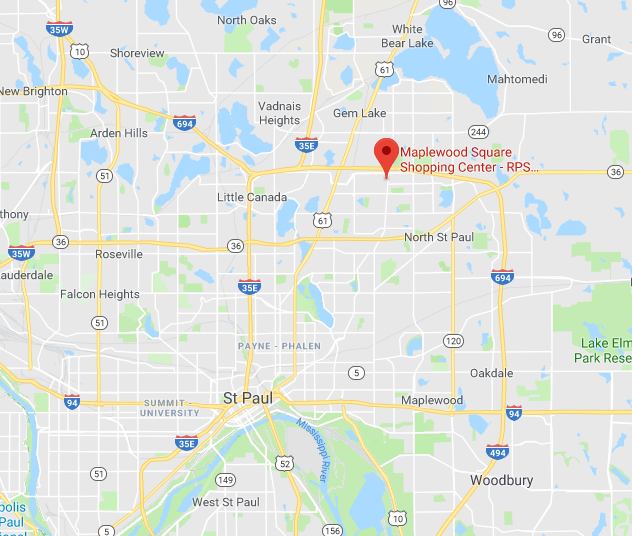 Maplewood Mall is anchored by Macy’s, Kohl’s, JCPenney and Barnes & Noble. 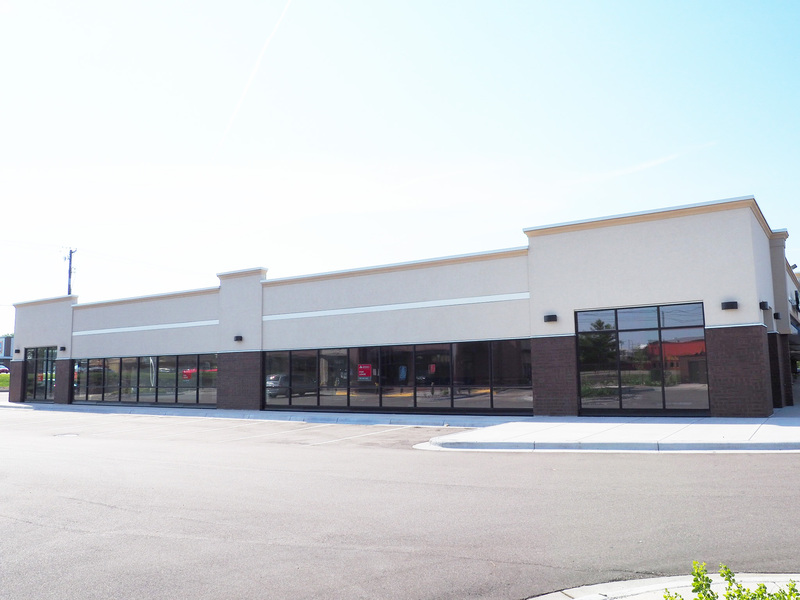 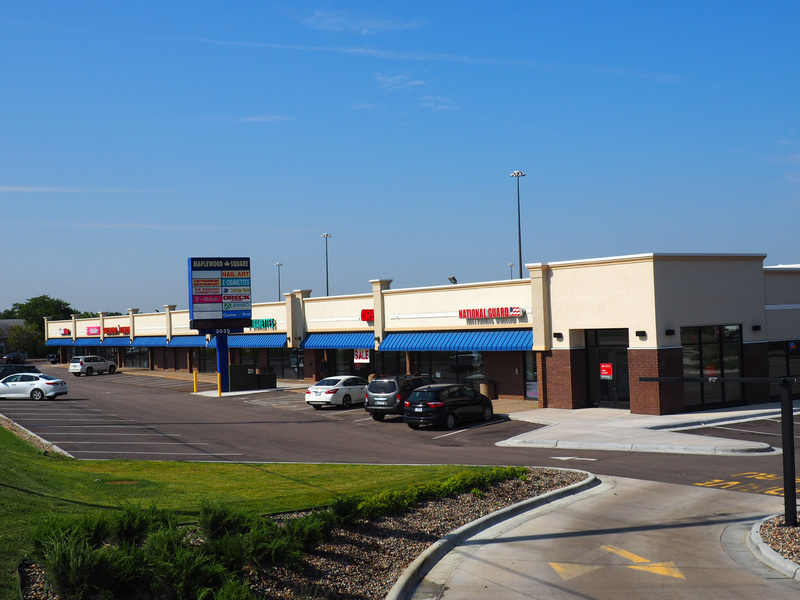 It is located across the street from large stores such as Aldi’s Groceries, Golden Corral, Party City and Hobby Lobby. 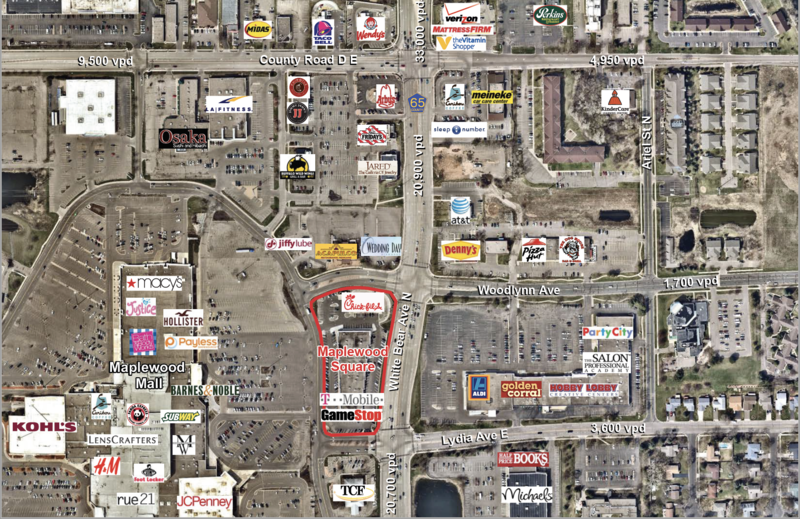 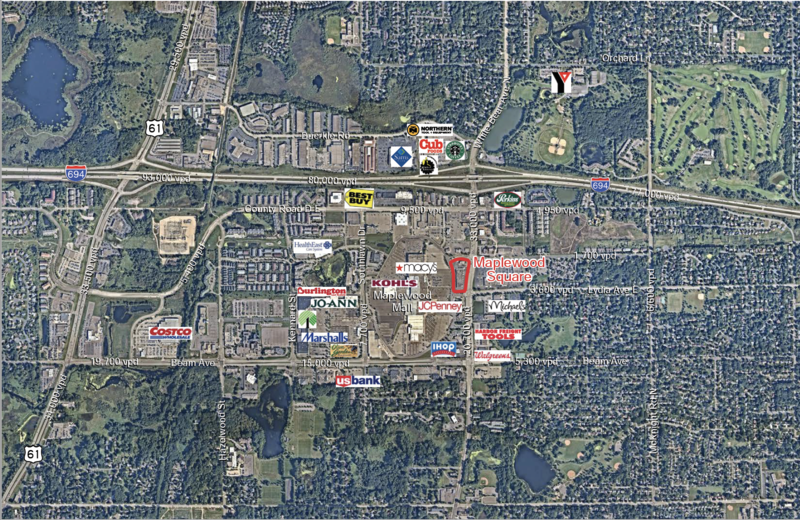 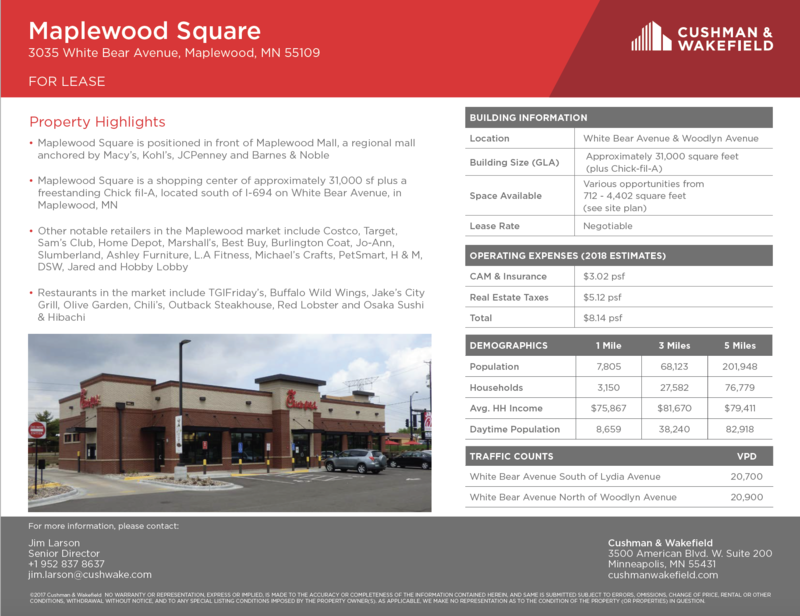 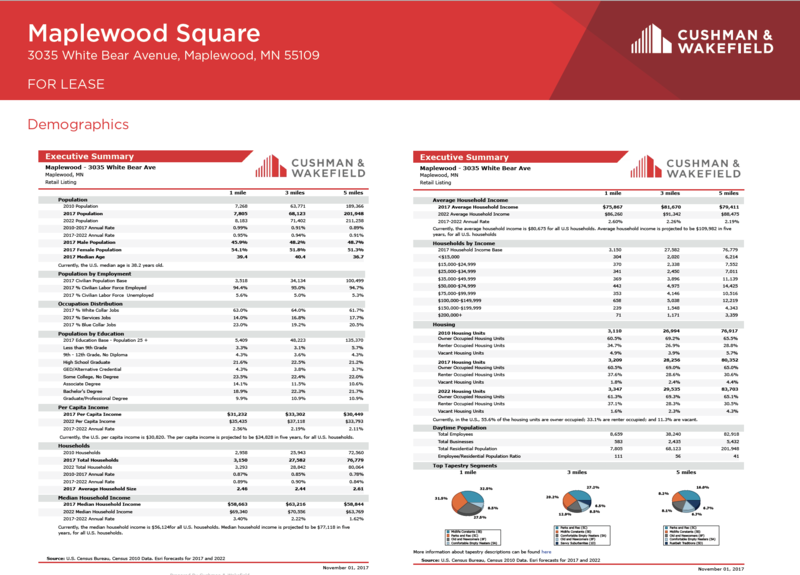 In the midst of large stores and the regional mall – Maplewood Square is in a convenient location with high traffic.